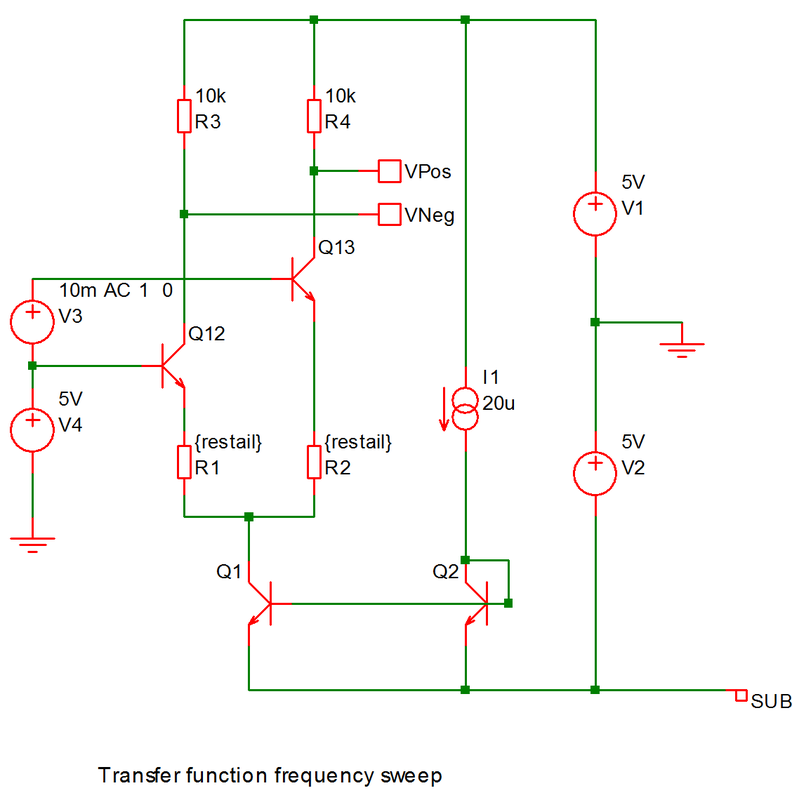 Transfer function analysis is similar to AC analysis in that it performs a swept small signal analysis. However, whereas AC analysis calculates the response to all circuit nodes from a (usually) single input source, transfer function analysis calculates the individual responses from each source in the circuit to a single specified output node. 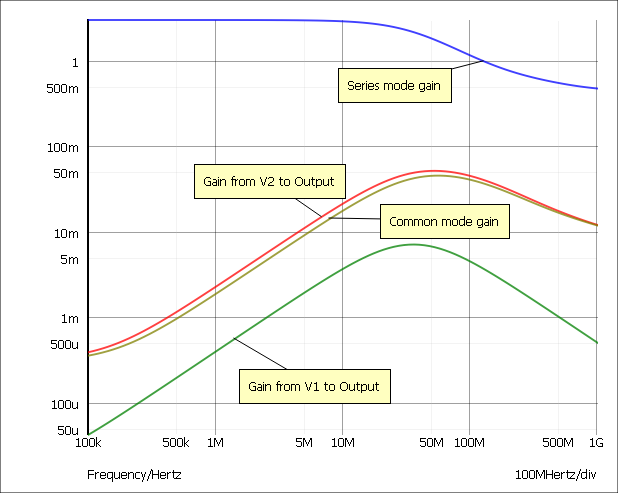 This allows, for example, the series mode gain, common mode gain and power supply rejection of an amplifier to be measured in one analysis. The same measurements could be performed using AC analysis but several of them would need to be run. Transfer function mode also calculates output impedance or admittance and, if an input source is specified, input impedance. Select TF check box on the right. Select TF tab at the top. Enter parameters as described in the following sections. Start value, Stop value Defines sweep range stop and start values. Voltage/Current Specify whether the output is a node voltage or device current. Output node/Output source This is compulsory. If voltage mode is selected it is the name of the circuit node to which the gain of all circuit sources will be calculated It is the node name as it appears in the netlist. Usually the schematic's netlist generator chooses the node names but we recommend that when running a transfer function analysis that you assign a user defined name to your designated output node. To find out how to do this see Finding and Specifying Net Names. If current mode is selected it is the name of a voltage source through which the output current is measured. The simulation will calculate the gain for every circuit source to this current. Reference node Optional and only available in voltage mode. Output voltage is referred to this node. This is assumed to be ground if it is omitted. Source name Optional. Input impedance to this source will be calculated if specified. See Plotting Transfer Function Analysis Results. All of the above waveforms were created with a single analysis.